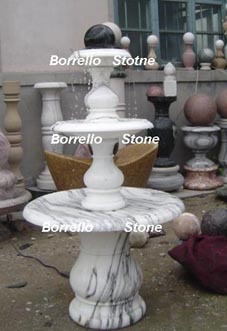 1) Fountain has a granite ball floating on a pressurized stream of re-circulated water. 2) This rotating globe is recommended for use in main entrances, shopping centers, gardens, etc. 3) Material: granite, marble. 4) Color: Black, Green, Pink, White, Red, Yellow, Gray. 5) Dimension: max 2 meter diameter ball is available. 6) Price Terms: FOB Qingdao, CIF.